Let’s get working on your fitness. What a Personal Trainer should bring to this party: ”Focus predominantly on increasing the production of angular club head velocity through the development of a player’s ability to generate larger ground reaction forces and speed of movement, in addition to the promotion of safe and efficient deceleration of force through increases in strength." 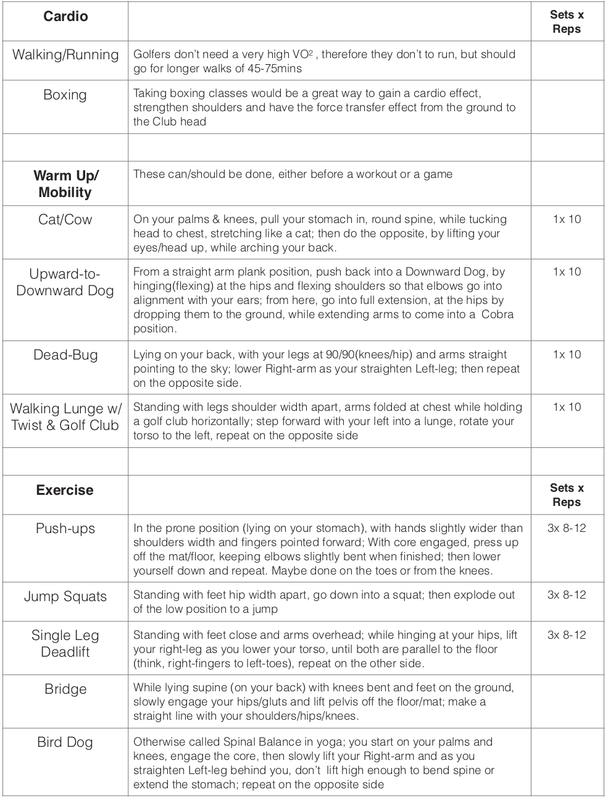 These are some of the movements/exercises I would recommend depending on your goals and what an assessment may suggest.